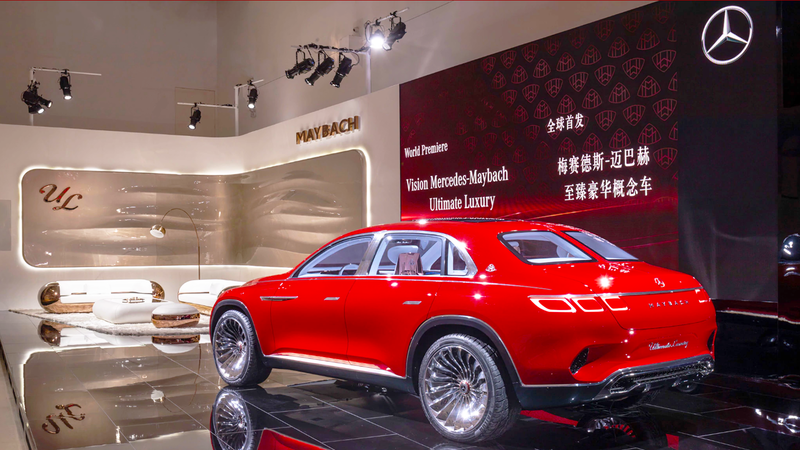 The two-thirds SUV one-third sedan makes its debut in Beijing to the automotive world as the newest entrant to the ultra-luxury SUV market. Check out the newest creation from MB made for the well-off citizens of China. It was just last summer that Mercedes showed off its subdivision's Vision Maybach 6 Cabriolet. 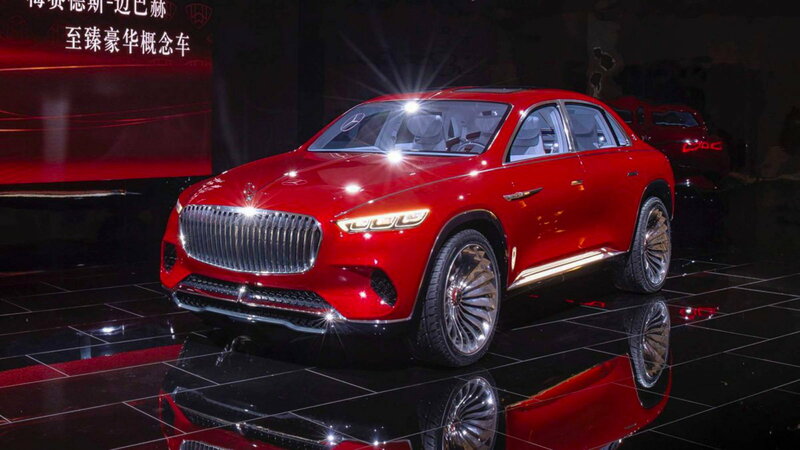 Now, at the 2018 Beijing Auto Show, Merc has trotted out the latest show car called the Vision Mercedes-Maybach Ultimate Luxury. The new vehicle has the body of an SUV and the rear end of a sedan, which was done purposefully by the designers with the reason being that those two segments are the most popular in China. >>Join the conversation about the EV Vision Maybach right here in MBWorld. 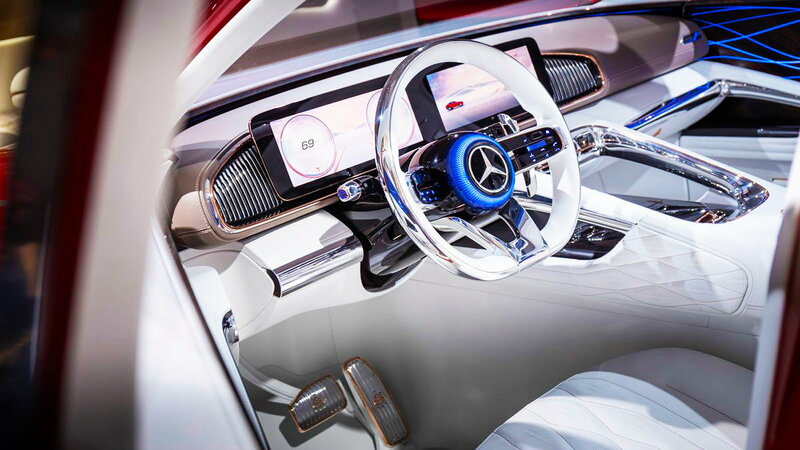 This new SUV is littered with interesting choices such as the grille being a nod to the Vision Mercedes-Maybach 6 coupe concept. The sunroof runs the length of the vehicle but is split into a left and right panel that from atop makes the SUV look something like a two-prong electrical outlet. 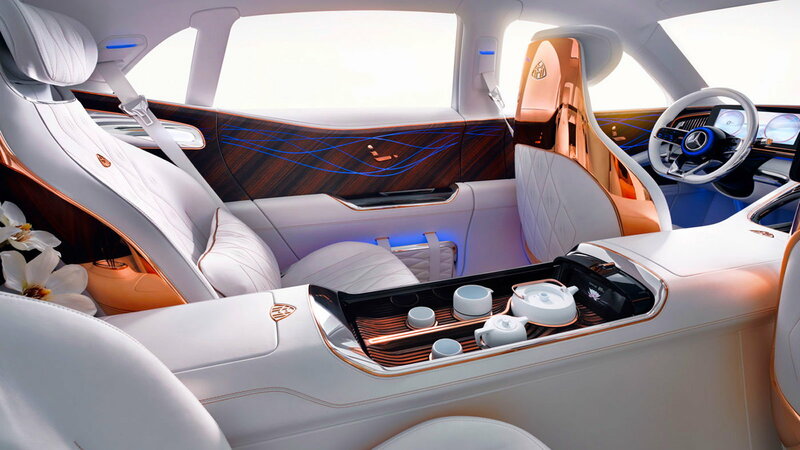 "The Vision Mercedes-Maybach Ultimate Luxury is a totally new archetype of a kind never seen before,” said Gorden Wagener, Daimler chief design officer, in a statement. The chunky luxury vehicle has an interior that is befitting of the Maybach brand with a lavish cabin that pampers rear passengers. Occupants will relax in fully adjustable chairs that carry a massage function as well as perfume spritzers embedded into the diamond stitched Nappa leather in the hue of Crystal White. Wood trim with embedded LED lighting swings from the dashboard all the way to the back seats and then some. There are just four seats in the SUV with the backs of them adorned in warm rose gold. Up front is a Mercedes Widescreen Cockpit infotainment system with two 12.3 inch display screens for the driver to aid in driving. The powertrain on tap are four electric motors, one at each wheel, that combine for an output of 750 horsepower. The 80-kWh battery provides a range of over 200 miles with the capability for fast charging at any number of EV 350-kilowatt stations that are growing in number daily. The opulent SUV can also be charged wirelessly because it's is a Maybach and why should anyone have to get their hands dirty? The fast charging function will reportedly allow the range to be extended to almost 60 miles of range on just a quick five-minute charge. The wireless charging can be accomplished by way of induction through an electromagnetic field underneath the SUV. Do you think it will sale? Mercedes did not say when the Maybach Vision Ultimate Luxury concept will go into production but we're pretty sure that it will come to fruition to combat other ultra-luxury SUVs that have recently sprouted up. 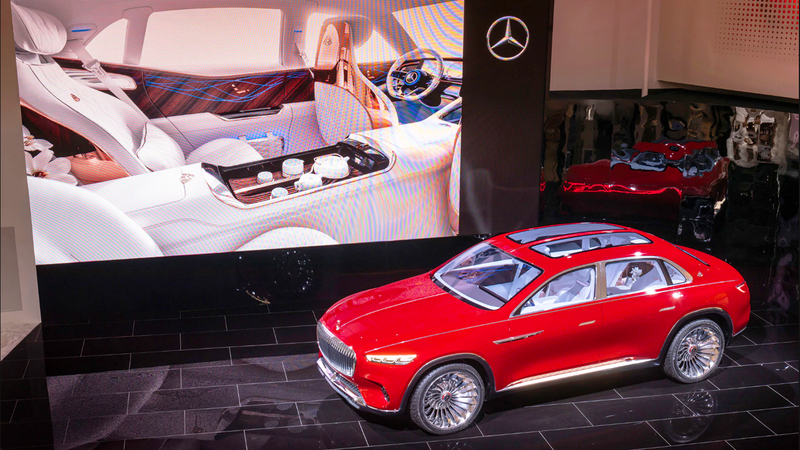 A luxury SUV riding on an all-electric powertrain would not only give Mercedes an edge in the segment but would also fit in with the brand's electrification plans as well.